In 2017 the Dufferin Rural Water Quality Program was initiated. This voluntary program offers financial and technical assistance to farmers throughout Dufferin County to assist with the implementation of agricultural beneficial management practice projects, which protect and improve water quality. Living Snow Fences 100% $5,000 $450/acre years 1-3 and $200/acre years 4-10. Innovative Technologies Innovative technologies and projects that do not conform to RWQP guidelines are considered by the Steering Committee on a project by project basis. Rural Water Quality Program grants may be combined (stacked) with funding from other sources. 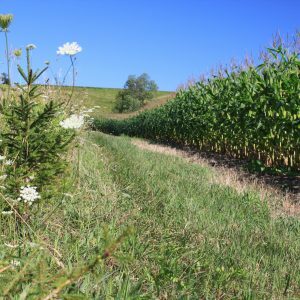 Where landowners receive funds through another program, the grant rates will be adjusted to ensure that landowners do not receive more than 100% towards the cost of their projects. Submit your Environmental Farm Plan for confidential review by your Workshop leader. Contact Dufferin Rural Water Quality Program staff to verify that your proposed project meets the guidelines and to arrange a site visit. Staff is available to assist you with planning your project and applying to the program.